The world of sterilization can sometimes be a confusing and unsure place. While some beginners choose to boil their substrates/equipment, most professional and amateur growers prefer to use either a pressure cooker or a steam sterilizer (autoclave) for sterilization. But how do you know what method is best? What product is right for you? And while we’re at it, what is the difference between a pressure cooker and a steam sterilizer anyway? Let’s start with the most basic method–boiling. Disinfection via boiling is a cheap and easy method for sterilizing. Often this is a valid and reasonable method for the beginner grower. Requiring no special equipment, it can be done just about anywhere, and is effective in killing most pathogenic organisms. It is also messy, time-consuming, and not 100% effective. Pathogenic organisms begin to die off between 60° C and 70°C. 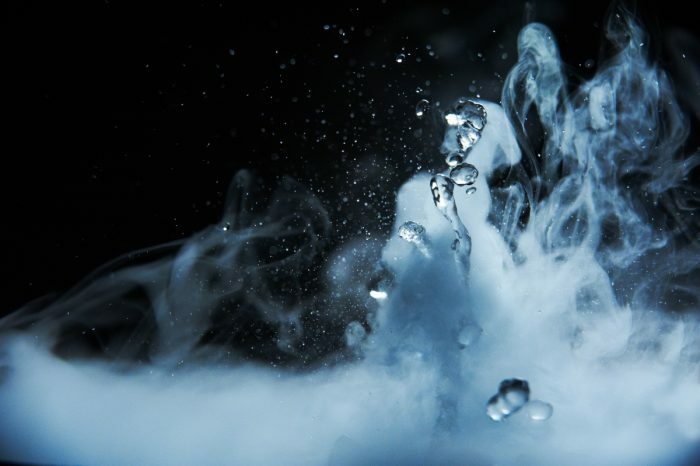 Water must be boiled for at least 20 minutes to achieve sterilization ergo large amounts of water are necessary in order to prevent evaporation from exposing your substrates/equipment. Constant monitoring is required. Alternatively, steam sterilization is the other, preferred form of sterilization among growers. 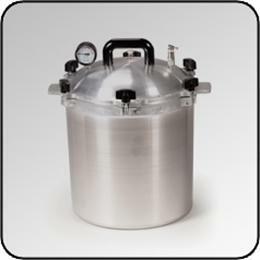 Steam sterilization is most often done via pressure cooker or autoclave (steam sterilizer.) Items that are to be sterilized are placed in the sterilization device, locked in and heated. Once the vessel is sealed, it forces the air out through the vents creating a vacuumed sterile environment. The sealed vessel also creates a pressurized environment that penetrates through the materials being processed in anywhere 15-30 minutes. The vessel is then cooled naturally before removing the now sterilized product. 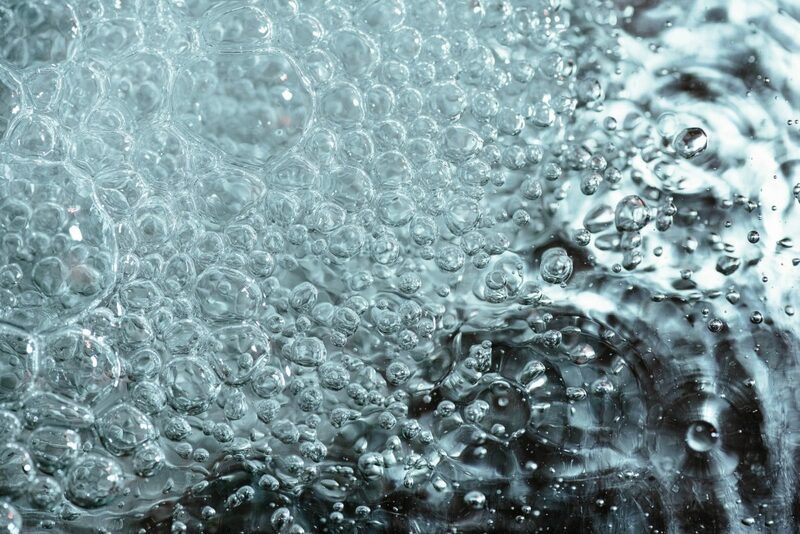 Steam sterilization can be more time-consuming than boiling, however, it is a far more thorough and effective. 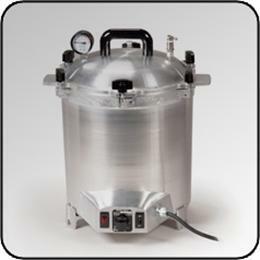 Steam sterilizers, or autoclaves, come in both electric and non-electric versions. Some autoclaves are very large, but more portable versions are available and recommended for smaller operations. Electric steam sterilizers are ideal or items that need to be immersed, like syringes, lab wear, thermometers, etc., whereas non-electric versions require little water and can be used to provide what is called dry steam which can be used on more porous objects like fabrics, dressings, and more delicate instruments. Both versions provide complete sterilization and are the preferred method of sterilization in labs and medical facilities. The primary benefit with a steam sterilizer though is the complete and even removal of all air pockets creating a vacuum. These devices are designed with function in mind in order to provide superior sterilization. With the superior sterilization quality, however, often comes a higher ticket price. 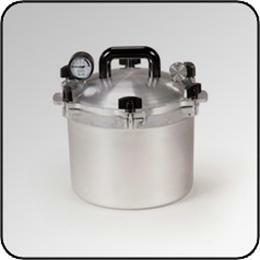 Pressure Cookers, or pressure canners, are often referred to as portable autoclaves. While this is not entirely true, the pressure cooker can be used to create much of the same effect. Using an immersion only method, pressure cookers are ideal for sturdier instruments and most substrates. While they cannot reach quite the level of pressure and heat that an autoclave can, pressure cookers have proven themselves time and time again as an effective means of sterilization. Because it is not designed to create a vacuum as its first priority, however, it is recommended that you let it vent and build pressure for a bit before starting your timer in order to create complete sterilization. Please be sure to do your research before using a pressure cooker for medical purposes. It is important to know your temperature and pressure requirements for your particular project before using a pressure cooker as an autoclave. Hopefully this article had helped clear up some of the major differences between pressure cookers and steam sterilizers. 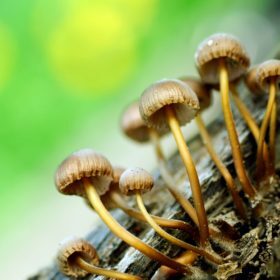 Both are excellent choices for your mushroom growing or mycology operation. Ready to buy? You can find a wide range of high quality pressure cookers and steam sterilizers right here in our shop. Still have questions? Contact one of our knowledgeable representatives who will be happy to answer all your questions. This entry was posted in Blog, Laboratory Equipment and tagged autoclave, autoclaves, mushroom growing, mycology, pressure cooker, pressure cookers, steam sterilizer, steam sterilizers, sterilization, substrates.